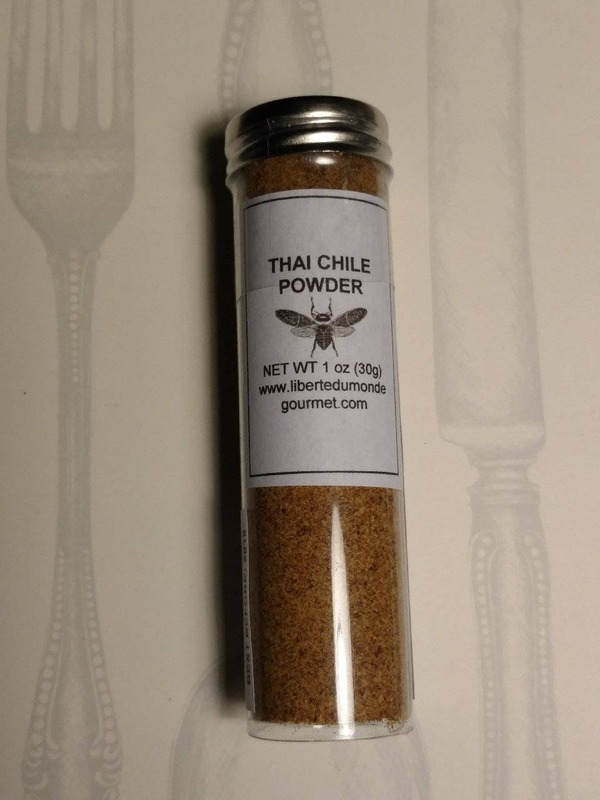 Thai Chile Powder is hot and rates between 50,000-100,000 on the Scoville scale. Similar in heat to a spicy habanero. Blend with freshly shaved coconut, salt and lime juice for a tradition South East Asian salad or with honey and create a dipping sauce for shrimp and calamari. It contains capsaicin which is an anti- inflammatory and potentially helps boost metabolism. Be certain to wash your hands thoroughly after handling. It is packaged in a food safe plastic vial with a metal nickel twist cap. Store out of direct sunlight in a cool and dry space. 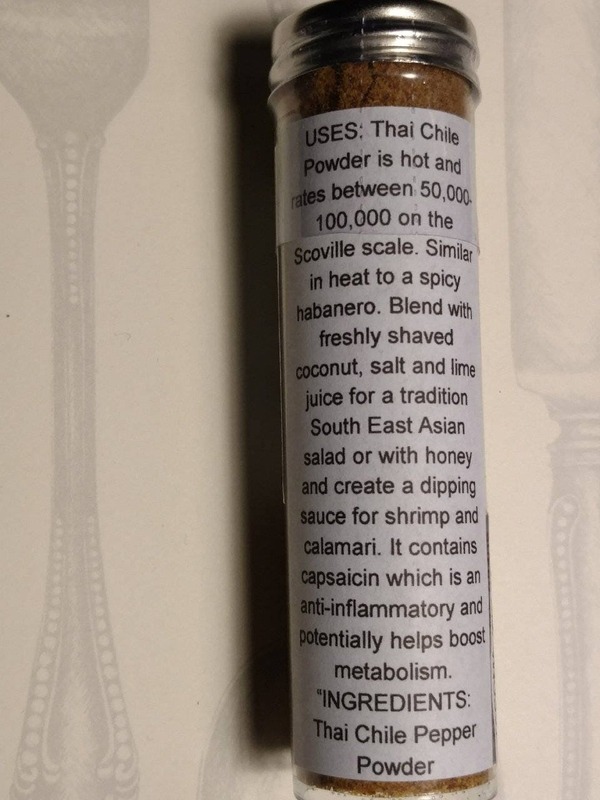 A description with ideas as to how to use the pepper powder is attached to the vial. The volume of the vial is roughly 2.5 tablespoons. Weight varies by pepper powder variety or flakes.